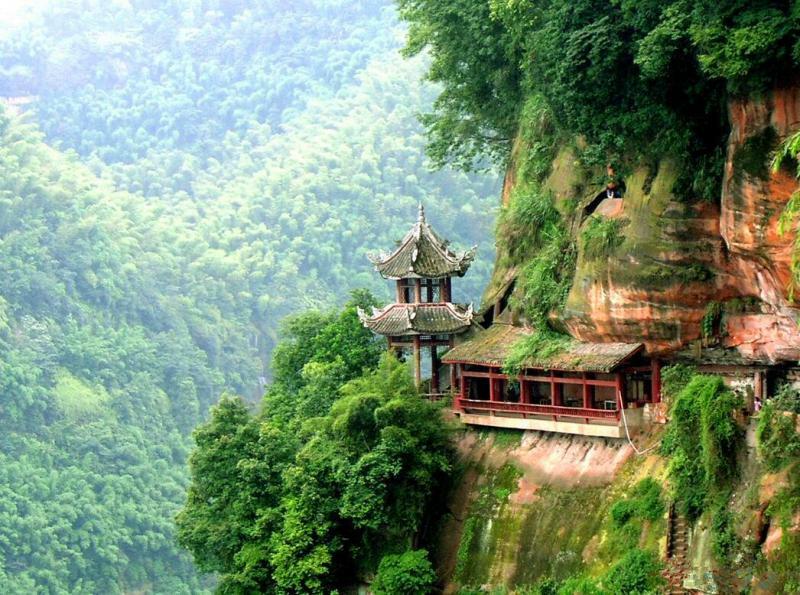 Shunan bamboo forest, dinosaur, stone forest and suspending coffin are four ancient miracles in South Sichuan Province. Located in Yinbin, China’s famous Wine Capital in Sichuan province, Shunan Bamboo Forest (Shunan Zhuhai) is the oldest and biggest bamboo forest in China, by covering an area of 120 square kilometers, and home to around 400 different types of bamboo. It is considered as a natural oxygen bar. The movie 'Crouching Tiger, Hidden Dragon' was shot here, therefore, for the first time, people from the outside world witness the natural beauty of the bamboo forest park, as well as its intoxicating atmosphere of peace, serenity and freshness. 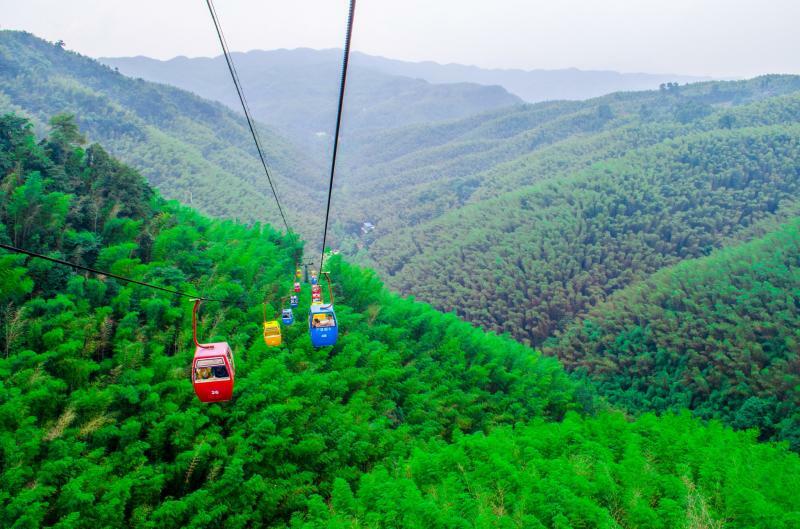 Travelers can take the cable way up to the top (with a relative height of 350m) for an exciting experience in the air and having a full view of the forest sea. 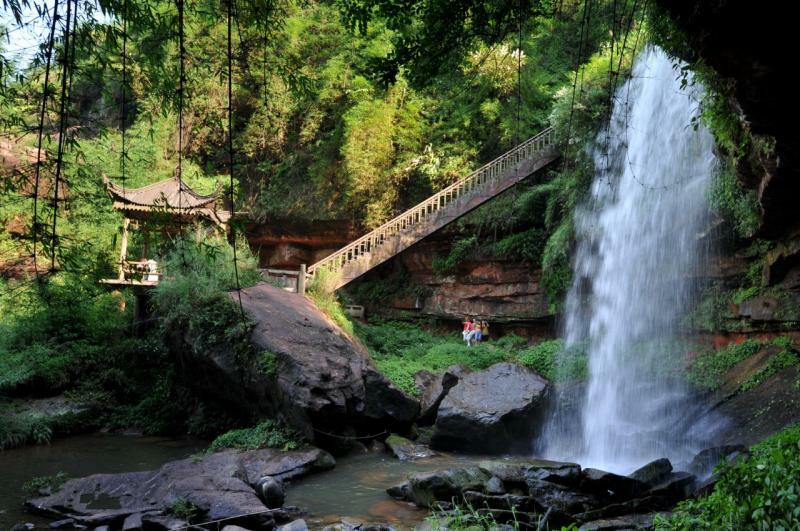 There are 8 major scenic areas with 134 attractions in the Shunan Bamboo Forest Park. 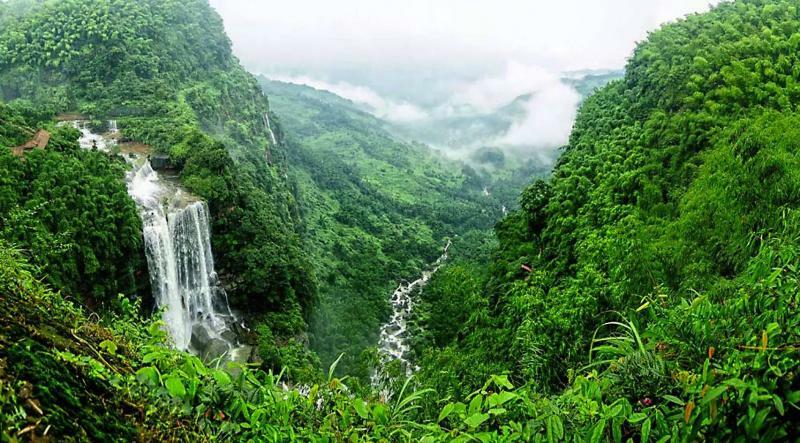 Apart from its huge size of bamboo forest stretching across mountains and valleys, there are plenty of waterfalls, lakes, ancient caves and bridges that will relax and refresh you. The highlight attractions include Bamboo Forest Museum, Emerald Corridor, Rainbow Waterfall, Huaxi Thirteen Bridges, Tianbao Village, Xianyu Cave, Guanyun Pavilion and Qinglong Lake. 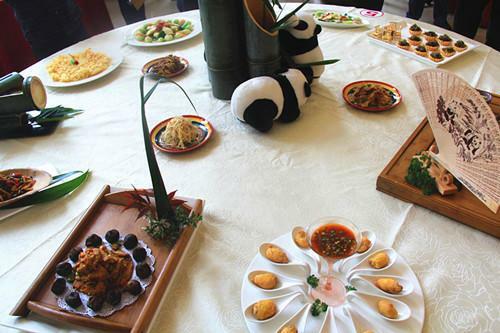 For foodies, you should not miss the fresh and delicious bamboo-derived foods, also named panda feast, including bamboo shoots, bamboo mushrooms, Bacon in bamboo forests, bamboo rice, bamboo tofu pudding etc. Local specialties also include Yibin Burning Noodles, Nanxi dried beancurd, odd taste chicken, etc. 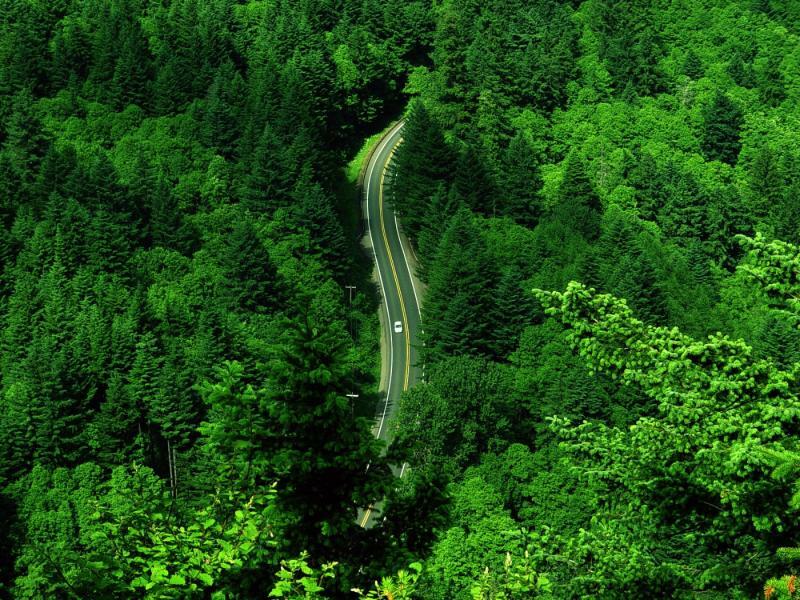 Best time to visit: at an altitude of from 600m to 1000m, the average annual temperature here is 15.5℃. March till October is good time to visit the park, while the summer season from May to August is the best, since the park turns to be a natural summer resort. 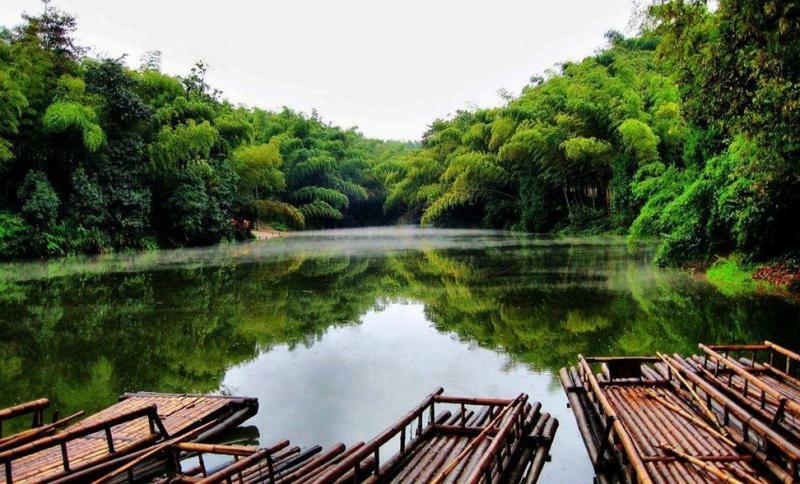 Travel from Chengdu to Shunan Bamboo Forest – it takes about five hours by taking buses from Xinnanmen Station or Wuguiqiao Station.